"You're in the trucking business now." That's what Phoenix farmer Lester Mundall told his son Danny Mundall in 1968 after learning he could by a trucking permit - a commodity which was hard to obtain those days. Today, Danny's son John Mundall runs the company along with the help from John's wife Kim, their two daughters Jessica and Jaime, and their son Jarid. They currently have a fleet of 40 trucks and a team of 55 employees, but as the Mundall family worked to pave some of Arizona's most prominent roads, paving their own road didn't come easy. 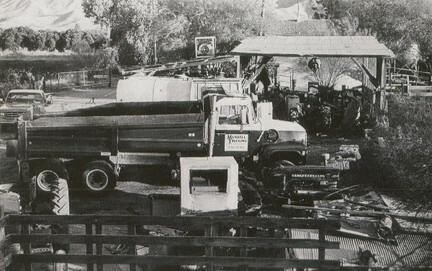 While the company enjoyed early success with its two, 10-wheelers during its first decade in operation, the great floods of the 1970s nearly washed them away. "You couldn't travel anywhere to jobs because roads and bridges had washed way," Danny recalls. "It wiped everything out and I can remember my father came real close to just losing everything." 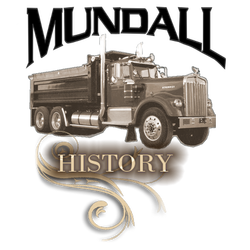 Still, with its philosophy of remaining debt free, Mundall Trucking not only weathered the economic decline, but actually thrived. In 2011 and 2012, the company grew 51 percent and doubled its fleet. "We bought new trucks and used trucks, fixed them up and made money and we saved every penny we could make," John said. We've been in the trucking company our whole lives... so we knew it was up and down." Today, the company has worked for just about everyone in town, including MR Tanner Development, Southwest Asphalt, Sunland Asphalt, Nesbitt Contracting, WSP Inc., Vulcan Materials, VSS International, and more. Mundall Trucking's services include asphalt, chip sealing, milling, aggregate, and "white asphalt" or concrete work. To read the entire article, check out Arizona Contractor & Community Fall 2015 featured on www.joomjag.com (PAGE 85).